She needed someone to love her and never let her go…but she’s afraid…This is bestselling author Debra Clopton at her best: Her Texas Cowboy (New Horizon Ranch: Mule Hollow Book 1) is free in today’s Kindle Daily Deals! She needed someone to love her and never let her go…but she’s afraid. Professional bull rider Cliff Masterson has been chasing his dreams for years but after rescuing a beautiful cowgirl from being trampled by a bull now he’s suddenly dreaming of love, home and hearth. Because Maddie Rose has had enough people in her life leave and she’s not willing to risk her heart on anyone, especially a bull rider with wanderlust in his veins. Thankfully he’s got the help of three meddling matchmakers to help him get his happily ever after? An inspiring Contemporary Romance novel, “Her Texas Cowboy” is an Amazon Best Seller. This novel is fun, romantic~Debra Clopton at her best! 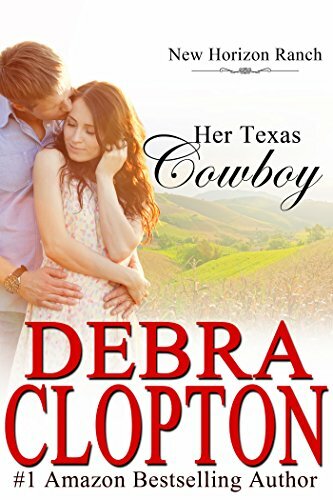 The post <p style="text-align:center;font-weight:bold;">She needed someone to love her and never let her go…but she’s afraid…<br />This is bestselling author Debra Clopton at her best: <em>Her Texas Cowboy (New Horizon Ranch: Mule Hollow Book 1) </em> is free in today’s Kindle Daily Deals!</p> appeared first on Kindle Fire on Kindle Nation Daily.